Brisbane has a new live music venue and The Triffid is quickly going to become a favourite for punters with its rare uniqueness and intimacy. Playing to a hometown crowd Megan Washington transported the crowd back to a retro disco with a high energy set delivering new and old favourites. The stage was draped in glittery sequins, giant disco balls and heart shaped balloons making this Valentines Day show a bit more fun. Beginning the show with the upbeat “Holy Moses” she captivated the crowd with her quirky personality and rock star antics. Joined by her slick looking band they continued giving the crowd the energetic tracks “Get Happy”, “Navy Blues”. “Who Are You” and my personal favourite, “Cement”. It’s during the acoustic part of the show where Megan Washington really shines. Just her and a guitar is all that is needed to make you have goose bumps during the beautiful “Underground”. While on new ballads “Begin Again” and “Consolation Prize” it’s her pure vocals that impress. Joined on stage by her support act Greg Chiapello they performed a cover of his debut single “Hot Coffee” which was received incredibly well by the sold out crowd. Intro-ing “Rich Kids” she was talking about how she wrote the song about a bad party she attended that made her realize moving away from Brisbane was for the best. It was then hilariously revealed that the party was actually held in the same venue as she was playing tonight. Deja Vu. Closing the show with “Limitless”, “Sunday Best”, “Heart Is A Wheel” and a cover of Kanye West’s “Runaway” she had the crowd bopping along and wanting more once she said her goodbyes. 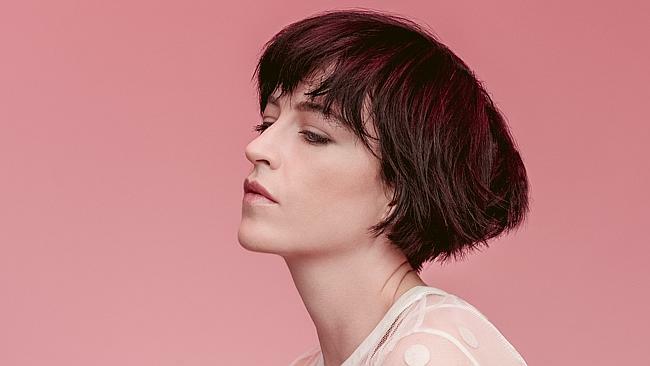 Megan Washington is a true performer and someone that always delivers a highly energetic, fun and reflective show and tonight’s show was a true testament to that.